When reformatting my content for an e-book, the first thing I had to take a look at was the cover. Covers of a printed book can be pretty busy, with embossing and intricate artwork, all of which look very smart on a bookshelf but none of which shows up very well on a thumbnail in an e-tailer’s site. 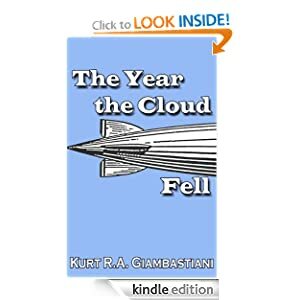 So when I took my first cover for The Year the Cloud Fell and shrunk it down to thumbnail size, I immediately saw that it was impossible to read, and the graphics were lost in the limited resolution of the smaller dimensions. So, all the cover artwork had to be redone..some more than others, but all needed their font-work upsized for readability in thumbnail form. The next change was the insertion of a hyperlinked table of contents. This is not as crucial in a novel as it is in a non-fiction work, but having one shows a level of professionalism that isn’t lost on the reader. All e-readers expect three things: Cover, Table of Contents, and the work itself, and they display links to these in their menu. If you don’t have a ToC, that link is greyed out and it looks like the book is somehow crippled. In the straight, linear read that a novel gets, that ToC will likely never be used, but it’s good to have it there. Building a hyperlinked ToC means using Heading styles on all chapter headings in the source document (which I already had, but which isn’t necessary for a print-ready file). Trimming the Front Matter so the reader doesn’t have to swipe through a dozen pages of “also by” lists and copyright notices before getting to page one. Reformatting internal graphics so they are oriented properly on the e-reader. My Glossary had to be dropped, as e-readers are still pretty stupid when it comes to displaying tables; better to have no glossary than have one that looks like crap. Saving the document as a filtered web page, and then up-converting the graphics which lost resolution in the “Save As” process. 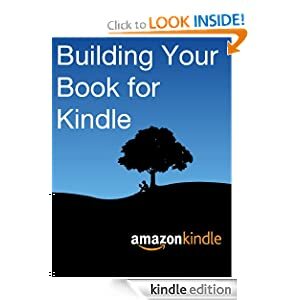 The book, Building Your Book for Kindle, is a great aid for all these changes, and if you intend to go the e-book route at some point, read it now. It will help you set up your document properly from the get-go. But either way, it isn’t difficult. As with all other self-publishing tasks, the one thing I would stress is this: Take your time. Do this again and again, looking through the book from cover to last page to make sure everything looks good and everything works. Precisely because it is so easy, it is easy to miss something. Of course, with e-books, you can always fix things after you “Go Live,” but it’s always best to put quality up front. So FC:I is live in the Kindle Store, and now I’m off to work on the rest of the series.